So I just so happened to be visiting Riverside last week. I’m driving down Van Buren heading east, just listenin to music and chilin. All of sudden I catch a big bald head out of the corner of my eye. I think to myself, "Hey, that really reminded me of Carlos Whittaker." Now, realizing that I’m in his hood, it causes me to do a double take and I realize, "Wait a minute…that IS Carlos Whittaker." As I’m zoomin by at 75…I mean, like 45 mph (I DON’T want to go to traffic school again!) 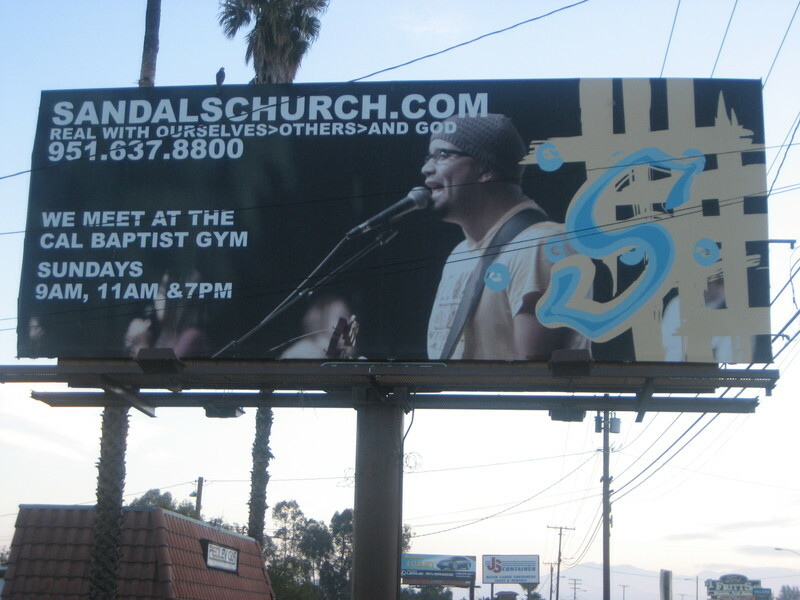 I see a giant billboard for Sandals church with the worship leader looking out over the valley. It made me laugh, so I had to pull over and get a pic. I thought it rocked. 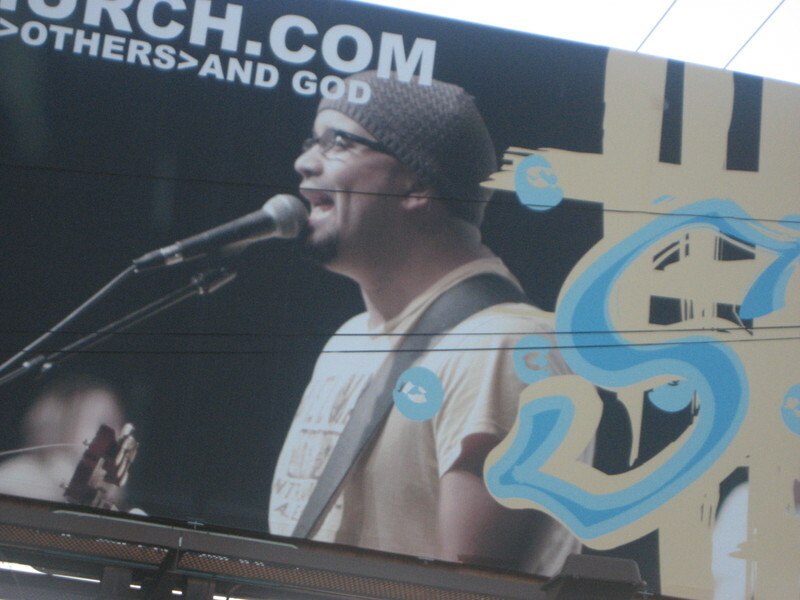 Then I started thinking that maybe I could get Dave to put my face on a billboard. But then I realized that I don’t look nearly as cool and that might not be helpful. I’ve had a lot of 12 year old girls who thought I was cute…maybe they would come! Cool board! Yea, sorry Los, but you are much trimmer now. Dude. I am SO FAT in that pic. I want them to take it down.